Canny mariners ken ye cannae whack Canna harbour at sunset! 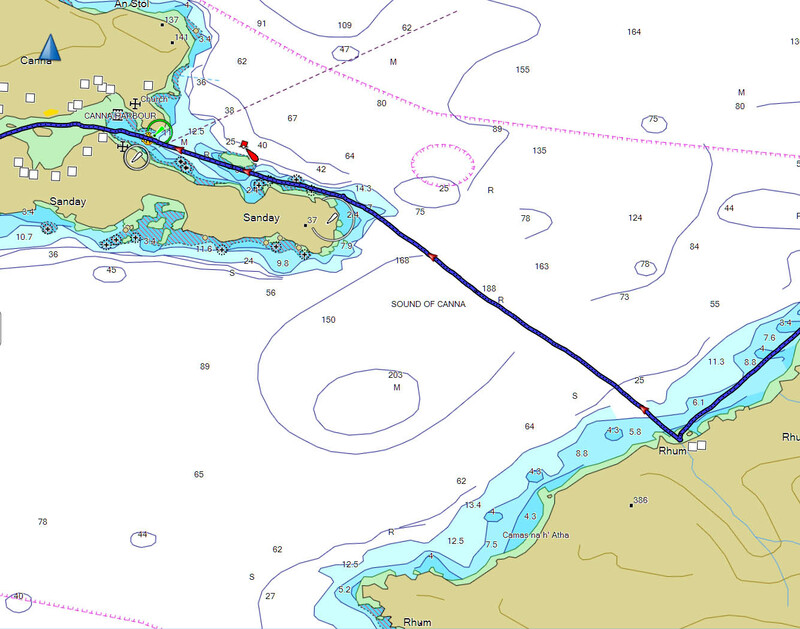 We set off from Rum to Canna at 16:37, exactly 1 hour before sunset and 3 hours and 39 minutes into the north going tide (which was 2 days before springs). 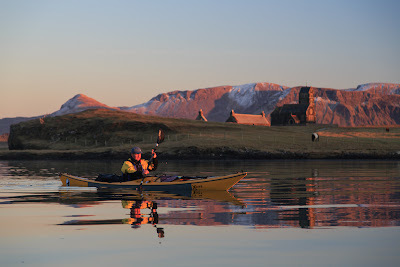 I have used Canna harbour quite a few times on yachting and sea kayaking trips, so I was confident it would provide a safe haven (and camp site) for the night. 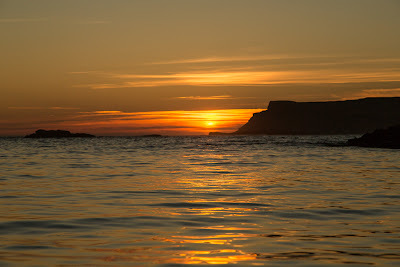 We set off knowing that the maximum spring rate in the middle of the Sound of Canna is 1.5 knots but near the east coast of Sanday it is 4 to 5 knots. 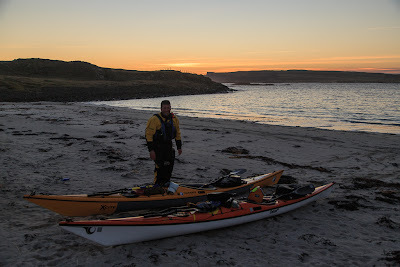 I had set a GPS way point on the east end of Sanday and using a combination of maintaining the bearing from our current position to the way point, transits and seat of the pants, I think we did a damn fine job of the crossing. ...in the shade below Sanday lightouse. 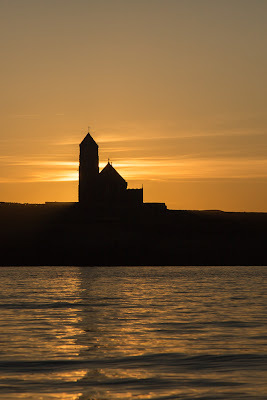 Although situated on Sanday, this is officially known as Canna lighthouse to differentiate it from the light on the isle of |Sanday in the Orkeney Islands. 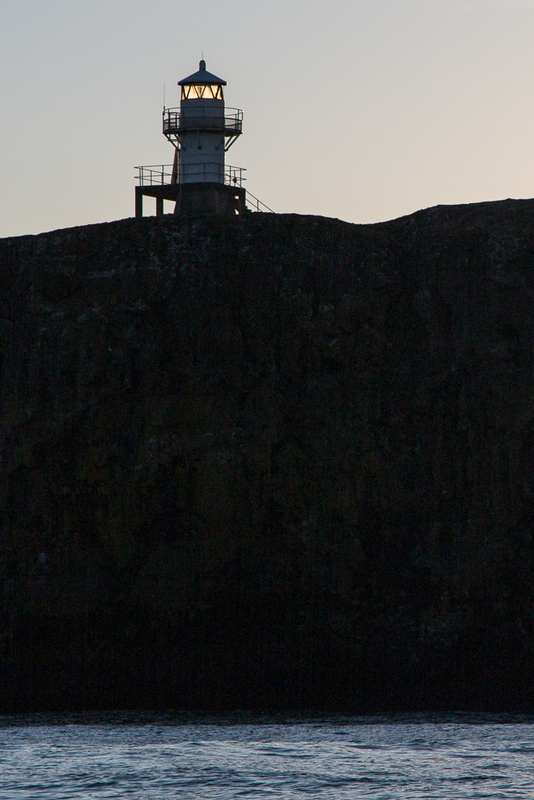 It was built in 1907 and flashes white every 10 seconds. 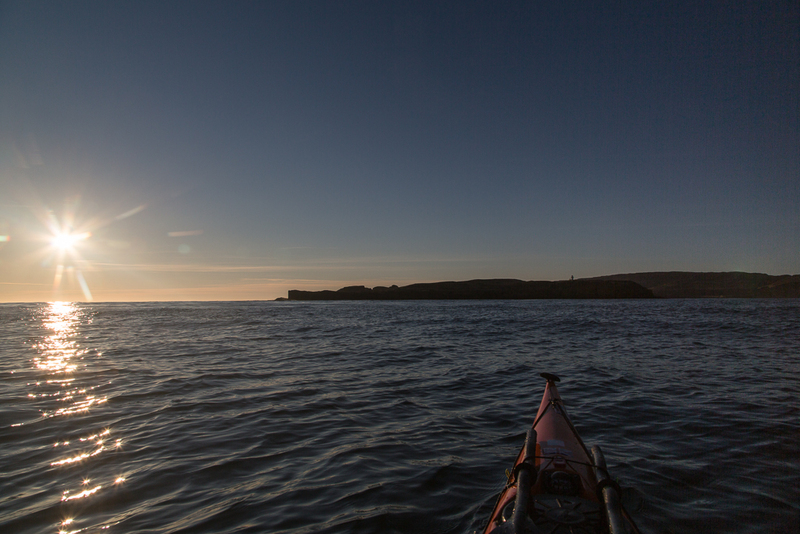 We took a breather once we were out of the main tidal flow but even here a buoy was being tugged under the surface! 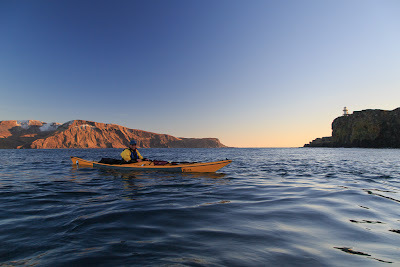 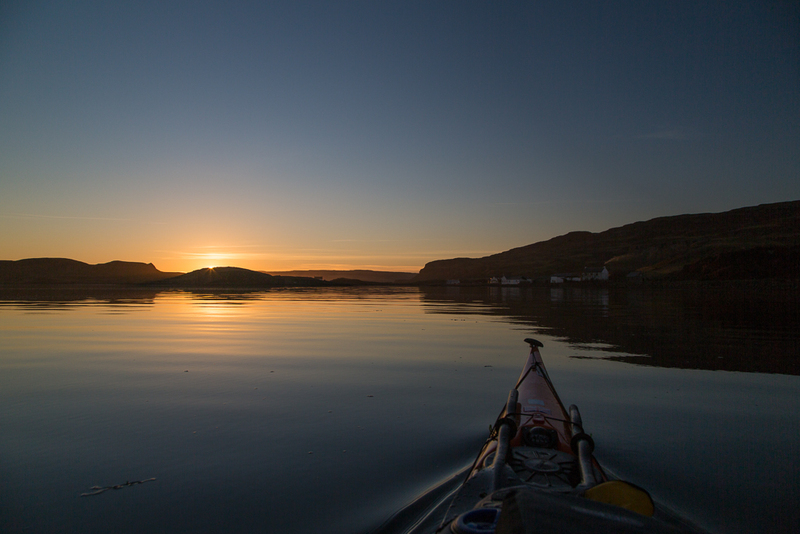 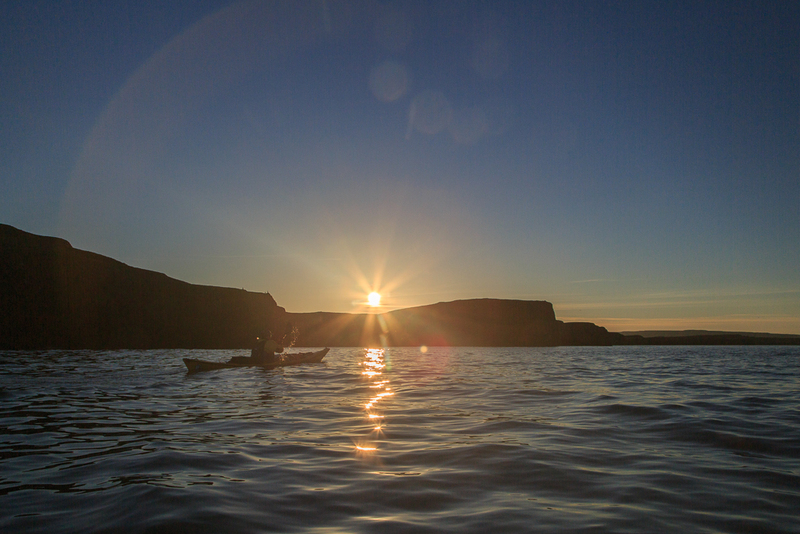 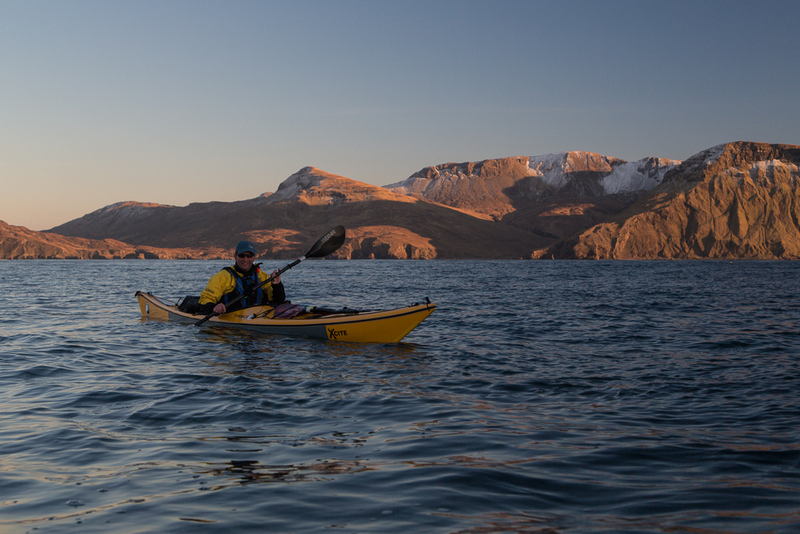 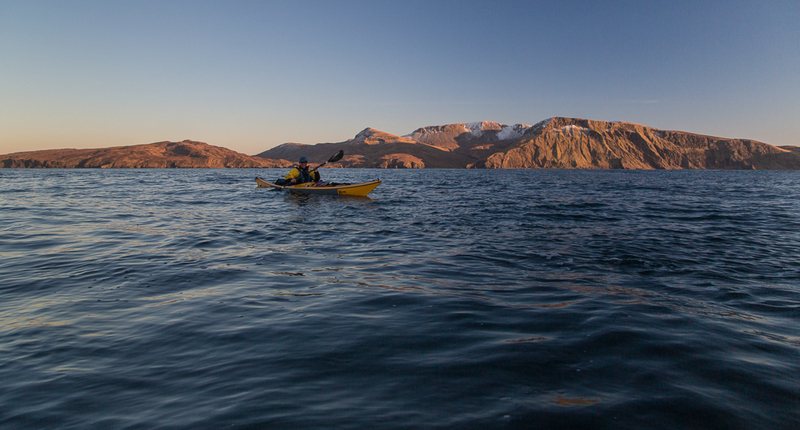 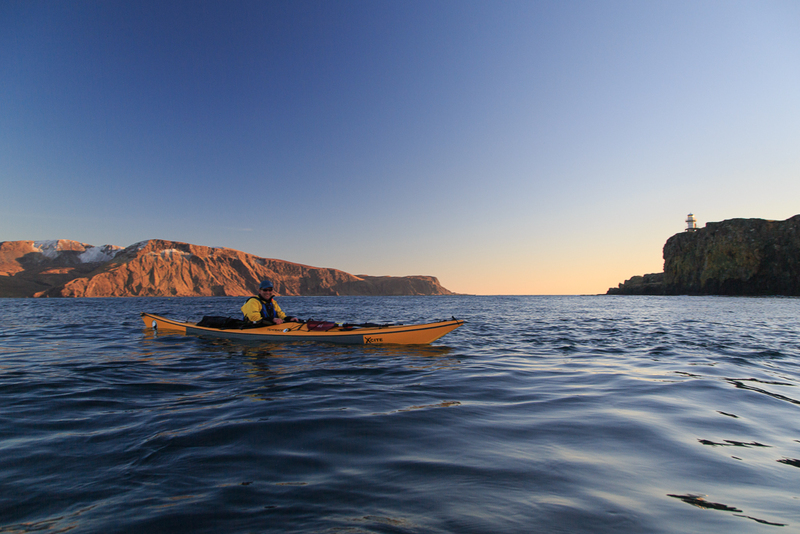 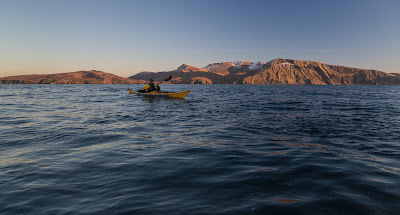 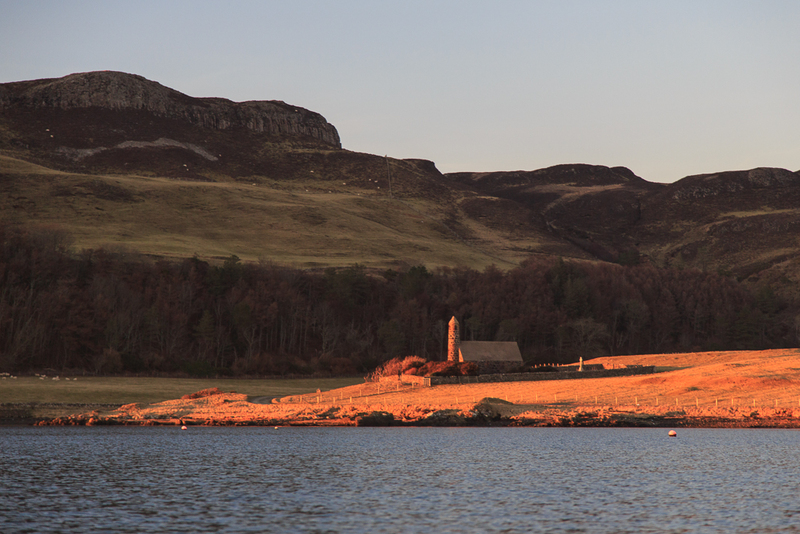 There is absolutely nothing to beat the feeling of paddling into the sheltered waters of Canna at sunset. There is no better harbour in hundreds of square miles of the exposed waters of the Sea of the Hebrides. Mariners have sought safe haven here for thousands of years and we were delighted to do the same. ..the former Roman Catholic St Edward's Chapel on Sanday. 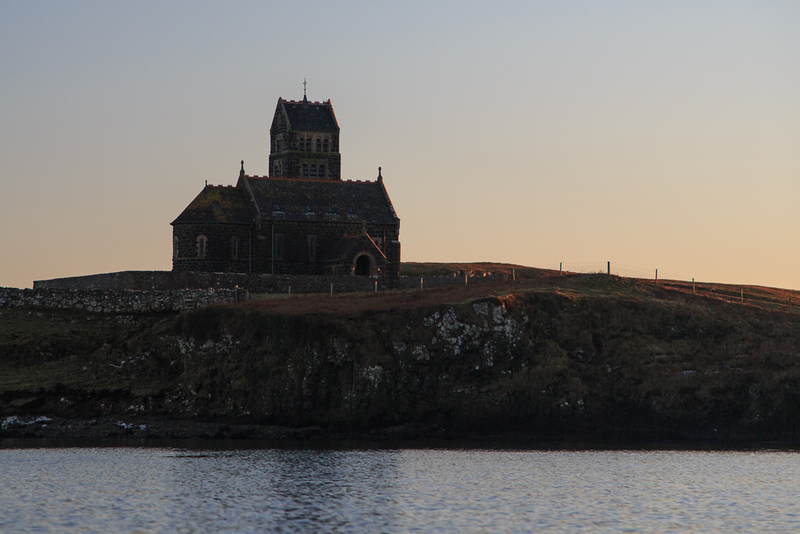 It was renovated in 2001 to be used as a Gaelic study centre but for various reasons has yet to open its doors. 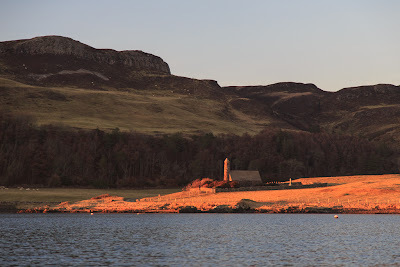 On the north side of the harbour the sun was shining on the Church of Scotland church. 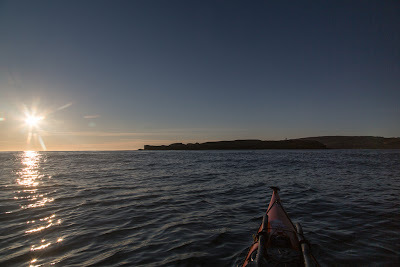 ...the open sea of the Hebrides beyond. The sun had set by the time we had hauled our kayaks out onto one of the white sand coves that can be found on this coast.